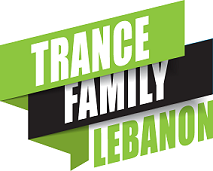 Bilal El Aly is a Lebanese DJ/Producer, signed to Black Hole Recordings, Fraction, Couture (Spinnin’), Future Focus, with music played by Tiesto, Paul Oakenfold, Paul van Dyk, Judge Jules, W&W, Eco, Ernesto vs. Bastian, Andy Duguid, Orjan Nilsen, Christopher Lawrence and many more! Bilal has been active in the Trance scene since a while, his track ‘Seiche’ has hit #1 spot on Trackitdown top 100 and almost every release of him has hit the top 50, with his own “SoundBox” show broadcasting once a month on the leading EDM Channel ‘Digitally Imported Radio”, the show continues to grow its global fan base at a steady rate. Many releases and remixes for top labels and artists are coming from Bilal! You will be definitely hearing about this name in the future.